Are you sick and tired of trying everything to get rid of those stubborn ants that are invading your home? What exactly are you doing wrong that you can’t seem to get rid of them? There’s actually several reasons why your DIY ant remedies may be failing. Bait Aversion: What Type of Ant Bait Do I Need? Do the ants in your home seem to be avoiding the bait you put down? If so, it may because you’re using the wrong bait. There are many different types of ants and each type prefers a specific diet. Once you identify what kind of ant you have in your home, you should be able to correctly determine what bait will work correctly. If you are using the wrong bait for the wrong ant, it will cause your DIY efforts to be unsuccessful. These small, dark brown or black ants are commonly mistaken for Pavement ants, but their distinctive coconut or pine scent when crushed is their differentiating feature. The Odorous House Ant will nest nearly anywhere by creating large colonies that can split into sub-colonies, making them often difficult to control and eliminate. Odorous House Ants prefer a diet consisting of sweets like plant nectar or honeydew, which come from aphids. When baiting for Odorous House Ants, it’s best to use a sweet bait. Pavements Ants are very common throughout New Jersey and Pennsylvania, and it’s not uncommon to find them inside your home. These small, dark brown or black ants can be found living under rocks or pavement. Pavement Ants are also known for their sand-like piles of debris near cracks or the edges of concrete slabs. 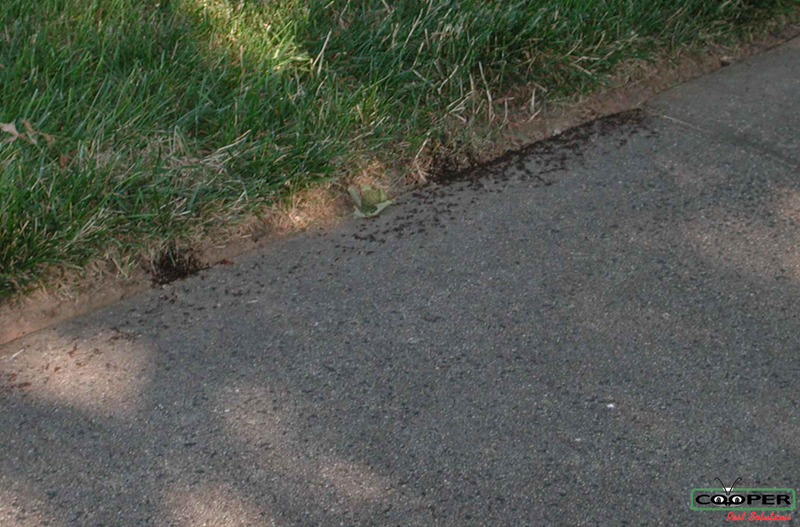 Pavement Ants, like Odorous House Ants, are harmless but can be a nuisance. Pavement Ants prefer sweets but will eat just about anything. If you are baiting for Pavement Ants, you may want to use a sweet or greasy bait. According to entomologist Dr. Richard Cooper, the time of year and corresponding nutritional needs can play a huge role into whether or not your bait will be successful. 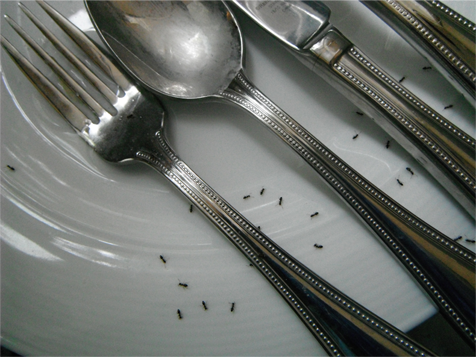 Depending on the type of ant problem you have, finding the correct bait can be both time consuming and expensive. Perhaps your bait is working and you’re seeing dead ants everywhere, but that doesn’t seem to be slowing them down. There’s a chance your bait is killing the ants too quickly. This can cause a number of problems. Quick-killing baits will do exactly that; kill quickly. Although that may sound ideal to you, it isn’t if you want to get rid of the entire ant colony. The key to successful ant removal is a slow-killing bait. You want the foraging ants to bring the bait back to the colony where the Queen(s), nest workers, and brood will eat the bait as well. If your bait is simply killing the foraging ants, that bait will never be brought back to the colony and kill it off. Not only will the bait never be brought back to kill the colony, but Dr. Cooper said the ants will pick up on the mortality rate associated with that ant trail and relocate. “If there is a lot of mortality associated with a certain feeding source then ants may abandon that trail and create a new trail somewhere else,” he said. In return, this will cause your ants to relocate and create another trail, possibly causing yourself even more of a headache! At this point, you may be playing a game of cat and mouse with your ants. Maybe your DIY baits are working and the ants are taking it faster than you can put it down, what kind of problem can this cause? If you are having this problem, you may not be able to kill off the colony fast enough because the bait keeps diminishing. This can also have a result on the colony growing because they’re having time to reproduce faster than you’re killing them. Whether you’re using a homemade bait like the Borax solution or a store bought bait, if the bait is depleting at a rapid rate, you’re going to spend more time and possibly more money continually replenishing it. Sometimes having to do this, you end up spending more money in the long-run doing a DIY method than just calling a pest professional in the first place. One of the main reasons why DIY ant remedies seem to fail is simply because the methods aren’t scientifically proven. Unlike professional-grade insecticides, DIY home remedies haven’t had any scientific testing to prove their effectiveness in the field. So when should you call a professional if you’re DIY treatments aren’t work? When it comes to getting control of an ant colony, Dr. Cooper said there’s more that goes into it than just spraying or baiting the ants you’re seeing and that’s why he recommends using a professional to handle your ant problem. When do call your local Pest Control? - Is your problem becoming overwhelming? - Is the risk of infestation going to cause serious damage to your home? - Are you looking to keep your home pest-free long-term? If you answered “yes” to these questions, then a professional is going to best suit your needs to get rid of your ants. What are the Benefits of a Pest Control Professional? There are several beneficial factors in choosing a pest control professional to handle your pest problems. Take a look at our comparison below to see why a professional could be the better option when dealing with ants or any unwanted pests. - Although initially DIY options may seem cheaper to tackle your pest problem, a professional may actually be the cheaper option in the long-run. If you’re using various store products, some can be effective, but if they aren’t, you may be running back and forth to the store. In return, you end up spending a significant amount of time and money trying to figure out what product to use and how to use it correctly. Potentially, you even may do more damage to your home by mixing various chemicals and products. - For a DIY, you must follow the directions precisely as listed on the product. If not accurately applied or placed, the DIY could ultimately fail. - When you call a pest control professional, they are typically licensed and trained therefore they know exactly what treatment protocols are going to effectively work on your specific pest. They will also be able to answer any possible questions you may have on the pests, including how to prevent that pest in the future. - When you use store bought products, you are taking on a huge risk by possibly causing damage or harm to your family, home, pets or plants because you are using unknown chemicals. When you are using chemicals or products that you are unfamiliar with, you must thoroughly read the directions and then follow them exactly as described. - Your risk is removed when you use a professional. Your professional will be skilled and knowledgeable enough to deal with your situation allowing you to have that peace of mind once again. Prior to hiring a professional, you should read reviews on various pest companies and choose the one that best fit for you. - DIY and store bought treatments have a 50/50 chance of working. Some may be effective, others may not. Some might on the surface work, but in the end don’t eliminate your pest problem. Since there are no scientific studies done to prove their effectiveness, entomologists, like Dr. Cooper, strongly recommend against the use of DIY or over-the-counter pest products. - A reliable pest control company will be up-to-date on the various treatment protocols and products that are effective in eradicating the pest. They will also have scientifically proven tools and chemicals to help eliminate your pests. As you can see, there are a number of benefits to using a pest control professional versus doing a DIY treatment. Between the tools, insecticides and knowledge, a pest professional will provide you with the utmost service and will remove your ants, or any other pest, quicker and more effectively than any DIY treatment out there. Schedule service online for small nuisance ants for fast technician dispatch. If you are seeing large black ants, this is likely carpenter ant activity. Carpenter ant services cannot be scheduled online. Learn more about our carpenter ant services here.